George Witherage Cotton 1821-1892 was a carpenter at Willunga, shop owner on Hindmarsh Island, land agent, land reformer, Member of the Upper House (which he entered aged 61), Methodist lay preacher. As a land agent he bought land for Prince Alfred College and was secretary of the school in it's first 20 years. 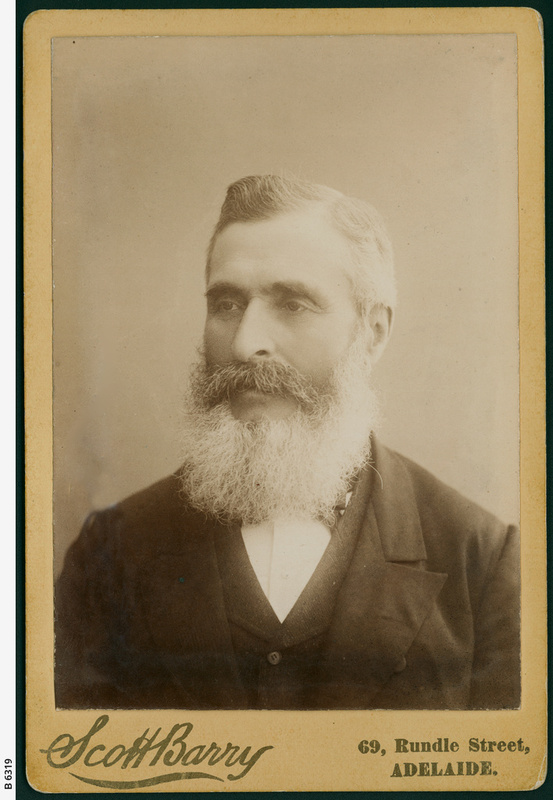 His pamphlet 'Small Holdings, the Mainstay of Individuals and Nations' published in Adelaide in 1888 shows his views on working men's blocks schemes. Another entitled 'The Obligations of a Civil Government' shows his belief in putting people on the land thus providing a comfortable life for them.